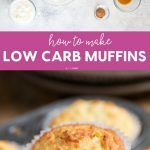 Low Carb Muffins are a perfect way to start your day! 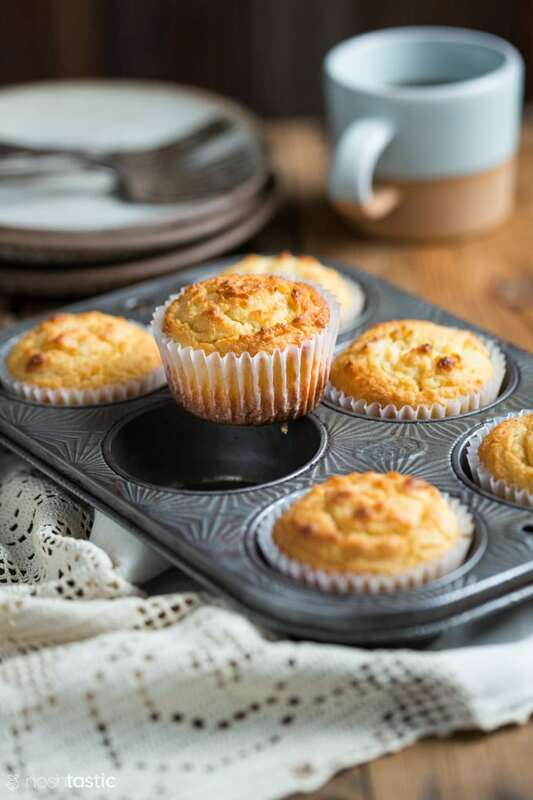 Quick and easy to make and with a hint of cinnamon, these little muffins are very filling as they are made with almond flour. If you’re following the keto diet they’ll work perfectly for an ‘on the go’ weekday breakfast option with only 4g net carbs per muffin. 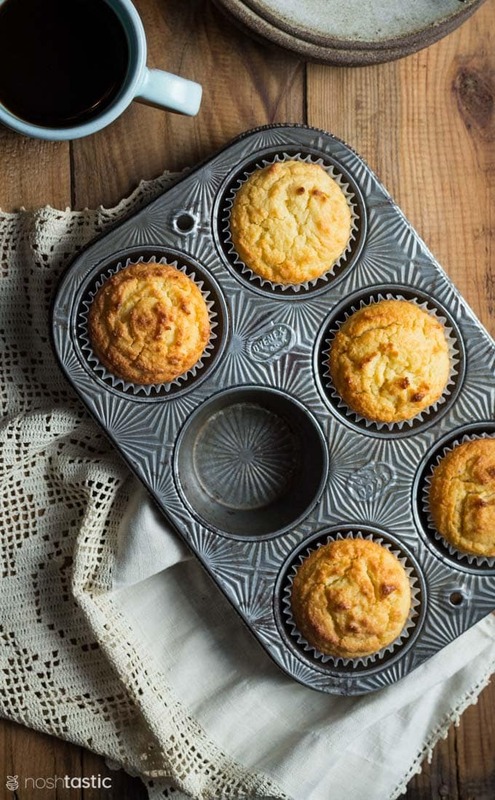 Before you start measuring out the ingredients for your almond flour muffins preheat your oven to 350F or 175c. 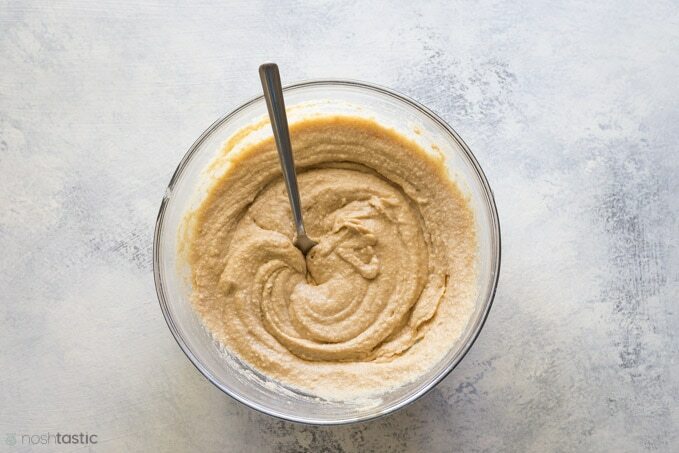 Next, measure out the almond flour, baking power, salt, low carb granulated sweetener, and cinnamon into a large bowl and whisk well to combine. In another bowl add the eggs, butter, vanilla extract, and yoghurt and thoroughly mix together. 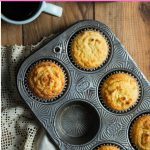 Then all you need to do is add the dry keto muffin ingredients to the wet ingredients and whisk until they are really well mixed, you can easily do this with a hand whisk. Then put your paper muffin liners into the muffin pan and evenly divide the mixture between them, I got six muffins from this amount of batter. Bake for for 22-25 minutes and check if the center of the muffin is cooked by using a toothpick inserted in the middle to see if it comes out clean. 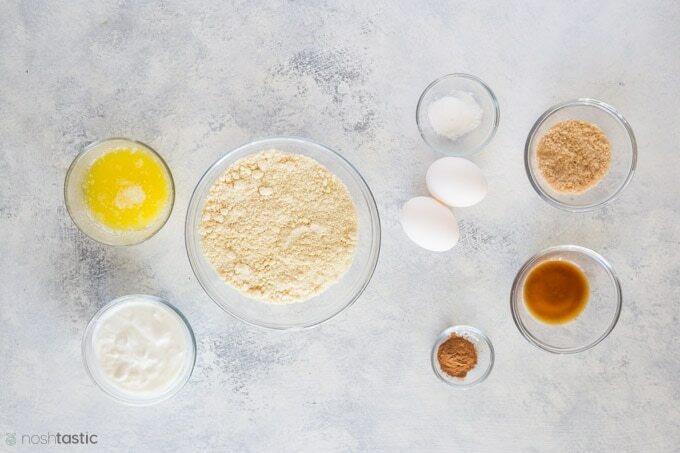 Coconut flour and almond flour have very different properties and are not typically interchangeable on a one to one ratio. Coconut flour is high in fiber and requires a lot more liquid added than almond flour does, so for this recipe I recommend sticking with the almond flour. How many carbs in almond flour? One cup of almond flour has 632 calories, 23g carbohydrates, 11g dietary fiber which gives us a net carb count of 12g. A quick and easy low carb muffin recipe for breakfast. Combine almond flour, baking powder, fine sea salt, cinnamon, erythritol, and stevia in a bowl and stir well. Mix the dry ingredients with the wet ingredients until well combined. 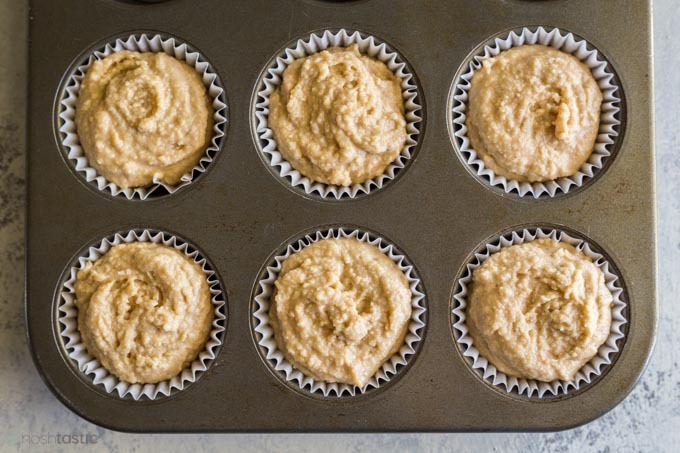 Evenly measure out the batter into muffin cups with paper liners, you should be able to get approximately six muffins. Bake for 22-25 minutes, you can use a toothpick to check if the center of the muffin is cooked if you're not sure. 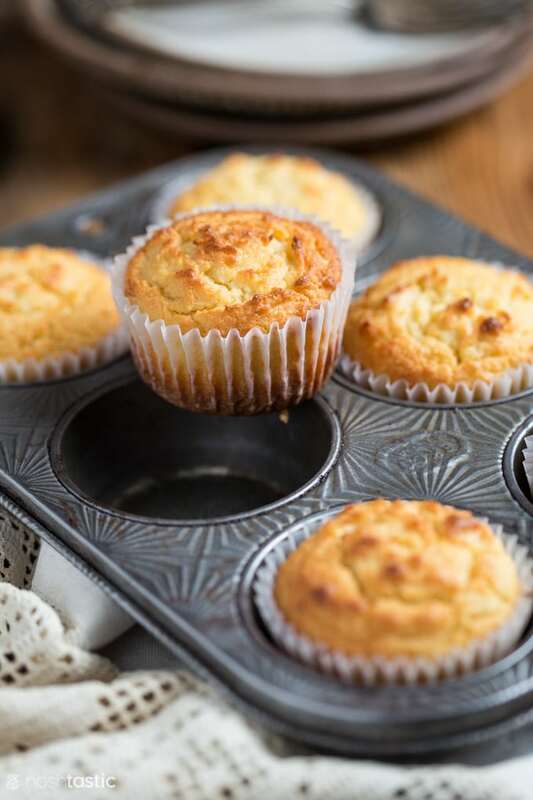 Sweetener - these muffins are not super sweet, if you want them sweeter you can add more erythritol, however you may notice that cooling mouth feel if you add too much more so for me the tradeoff was having them not as sweet in order to avoid that. Nutrition - 4g net carbs per muffin, calculated based on erythritol sweetener as having zero net carbs, this may vary if you change the sweetener. Servings - makes six muffins, assuming one muffin per serving as they are very filling even though they are small! Storage - once cooled keep in an airtight container for a couple of days. You can freeze them. Substitutions - you can change the sweetener if you prefer to use something different. You cannot substitute the almond flour for coconut, it won't work with the same amounts.